DUBAI, May 8 (Bernama) — Tourism Malaysia and Petronas are exploring the possibility of further developing the tourism potential of Kuala Lumpur’s Petronas Twin Towers. Tourism Minister Datuk Seri Dr Ng Yen Yen said the skybridge experience, for example, could be turned into an income-generating tourism product. She pointed out that currently admission to the skybridge linking the two towers was free, but visitors had to queue for the tickets to get up. “Many tourists have actually asked how to book tickets in advance because it’s cumbersome for them to wait in a long queue. “They say that by the time they finish waiting the tickets are gone,” she told Malaysian media after visiting Burj Khalifa, the world’s tallest building here, Friday. According to Dr Ng, who led the Malaysian delegation to the Arabian Travel Market (ATM) 2010, tourists wanted convenience and were prepared to pay for it rather than wasting time unnecessarily. Citing the example of Burj Khalifa, the minister said visitors who wished to go up the observatory deck on the 124th floor of the super tall structure could book tickets costing 100 dirhams (about RM80) per person in advance, while those who wanted immediate entrance could do so at a premium. “It’s a fantastic system. They have utilised the Burj Khalifa to become a very powerful tourism instrument. 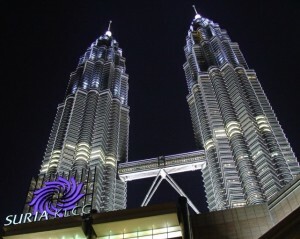 And I think our Petronas Twin Towers have that potential too,” she observed. Dr Ng said the Petronas towers should have a similar system — one that allows advance ticket bookings that eliminates long queues. 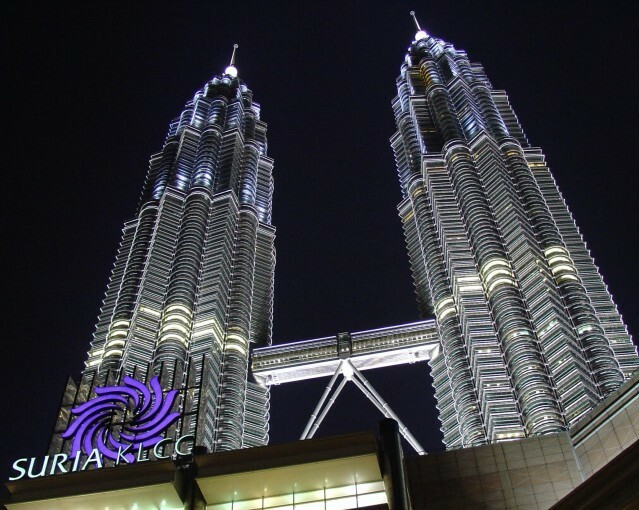 Nevertheless, Dr Ng conceded that Petronas, Malaysia’s national petroleum corporation, did not build the 88-storey twin towers with tourism in mind. “Actually, we’ve been asked by Prime Minister Datuk Seri Najib Tun Razak to see how we can work and assist Petronas to develop the skybridge into a tourism product. “Tourism Malaysia has already spoken to Petronas and the company is very receptive to the idea,” said Dr Ng who was accompanied on her tour of Burj Khalifa by Emaar Properties assistant director (projects), Nor Shaharom Mansor. She said tourism was not only a matter of coming up with new products to woo tourists but also value-adding existing products, such as the skybridge. According to Melaka-born Nor Shaharom, who has been involved in the Burj Khalifa development since day one, further developing the tourism potential of the Petronas towers was something ‘doable’. “For Burj Khalifa, we knew what we wanted since day one. The idea behind it is that we don’t want people to go to the observatory deck just for the view. “We want to create something more interesting by ensuring that the experience, both interactive and educational, starts from the ticketing counter all the way up the tower,” he said. According to him, the observatory deck of Burj Khalifa, a skyscraper that can be seen from 95km away, was generating a lot of income for Emaar, the developer of the project.